Welcome to our September 2017 edition of our tea subscription! As ever we have four new and exciting teas to share with our subscribers this month. The first light tea for September is Dong Cheon Daejak Nokcha, a wonderfully unique and unusual green tea from South Korea with a captivating character of toasted corn, cream and vanilla. The second light tea is Santikhiri Green Heart from Thailand. It is unusual as it utilises a cultivar that is normally reserved for making oolongs to produce a smooth and balanced green tea. For the darker teas on this occasion, we opted for a very enjoyable Darjeeling Phuguri First Flush that has a light first flush character and bright muscatel notes. And finally we have Yuchi Red Jade, a complex black tea with unusual notes of mint and eucalyptus from the shores of Sun Moon Lake in Taiwan. Mixed: Dong Cheon Daejak Nokcha and Darjeeling Phuguri First Flush. To help you along with the tasting, here is some further information on all teas featured in our September tea subscription boxes. We first featured this particular tea back in November 2015. As it is so unique and it proved to be a very popular hit with our customers we thought that it is time for it to make another appearance in our subscription boxes! Dong Cheon Daejak Nokcha is a lovely green tea from the Dong Cheon co-operative of farmers. A Daejak grade is plucked in summer and is the final flush of the season. It is also normally the flush when the largest leaves are plucked from the trees. While earlier flushes are more prized, they also attract very high prices due to small scale of tea production in the country. This Dong Cheon Daejak Nokcha green tea by contrast has a great balance between great quality, unusual character and a reasonable price. It has full organic certification and was picked in May 2017. Although Korean teas may look similar green teas from other countries, their taste can be quite unusual due to quite different production methods. 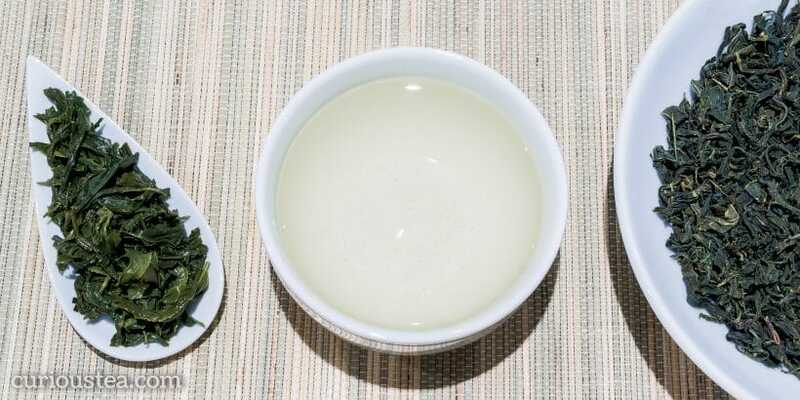 This particular tea is produced using the Jeong-cha production method where the freshly hand plucked leaves are plunged into near boiling water. After this hot bath they are shaped and dried in a hot iron cauldron until finished. The result carries a stronger, bolder and deeper flavour that is quite distinctive. Dong Cheon Daejak Nokcha is a semi-wild green tea, which means that the trees are from an ancient cultivar from Hadong Province that used to grow wild. This cultivar is thought to have been brought from China by buddhist monks over 1,200 years ago and many temples around Jirisan still grow their own tea. 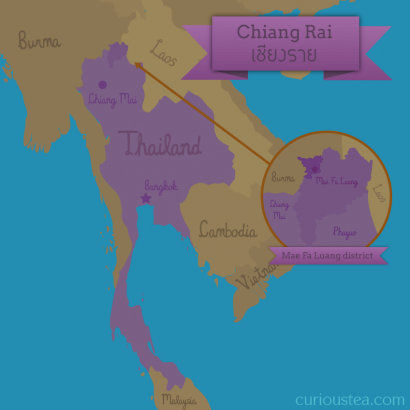 So the majority of tea from Hadong comes from the descendants of those original tea plants. 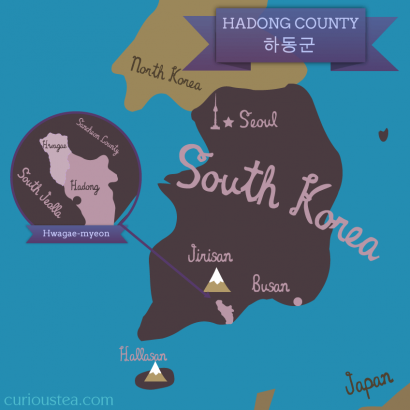 Presently the tea plants of this ancient Hadong cultivar are normally planted by the farmers but are then basically left to grow on their own as they are grown organically without pesticides or herbicides. The dry leaves of this Daejak tea are dark green, long and wiry and have a faint grassy and toasty aroma. The liquor is refreshing and has an aroma of toasted corn with a subtle grassy and sweet taste with notes of vanilla and cream. It is a very smooth and interesting tea that would pair well with pastries and other sweets. It is best brewed at 70°C for 1 minute or less according to your taste. This tea should definitely be brewed multiple times to enjoy the different flavours from each brew. You can also buy Dong Cheon Daejak Nokcha green tea in our online shop. You can buy Santikhiri Green Heart green tea in our online shop. Darjeeling Phuguri First Flush 2017 is a fantastic organic tea form the Phuguri Tea Estate, situated in picturesque Mirik Valley of Darjeeling. This tea is a First Flush (the first spring plucking of the season) and was picked in spring 2017. It is a great example of a First Flush Darjeeling, having a light balanced character with wonderful floral muscatel notes and very little astringency. The Phuguri Tea Estate has full organic certification. Phuguri Tea Estate is well-known for producing very fine clonal teas. Clonal tea bushes are grown from hybrid clones rather than seeds. This enables the estate to very carefully control the properties of the bushes, enabling them to select the best trees for their specific growing conditions and to achieve certain desired characteristics. Clonal tea is popular in Darjeeling and the trees differ from one estate to another. This means that clonal teas from different estates will have somewhat different characteristics particular to that estate and that clonal tea bush. It is a time consuming and difficult method of tea plant propagation but it yields very favourable results for the tea estates. Darjeeling Phuguri First Flush 2017 has very neat dark green leaves with silver tips. When brewed these produce a bright light orange liquor with a typical Darjeeling First Flush aroma. 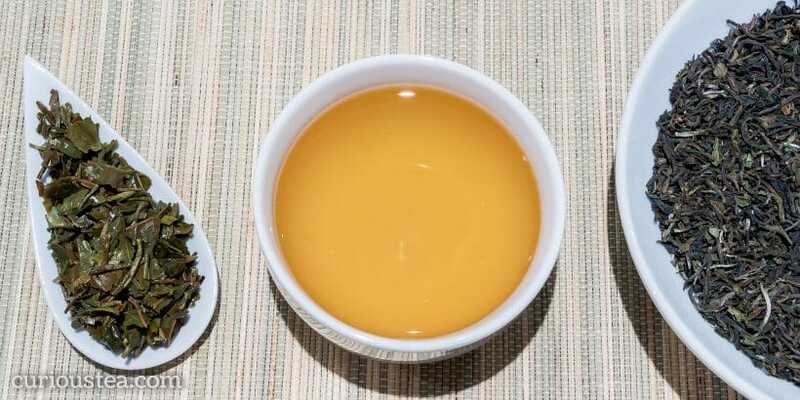 This tea has a light First Flush character that is a lot lighter than many other Darjeelings. The profile is well balanced and there is very little astringency and just a touch of dryness. It has smooth floral flavours with muscatel notes. Not overtly complex, it makes for a very pleasant cup and an excellent choice for an afternoon tea. You can also buy Darjeeling Phuguri First Flush organic black tea in our online shop. An unusual black tea from Taiwan, Yuchi Red Jade (魚池紅玉紅茶), also known as ‘Ruby’ tea. This tea is made from Hong Yu TRES No. 18 cultivar. Hong Yu translates as Red Jade or Ruby, hence the name for this tea. 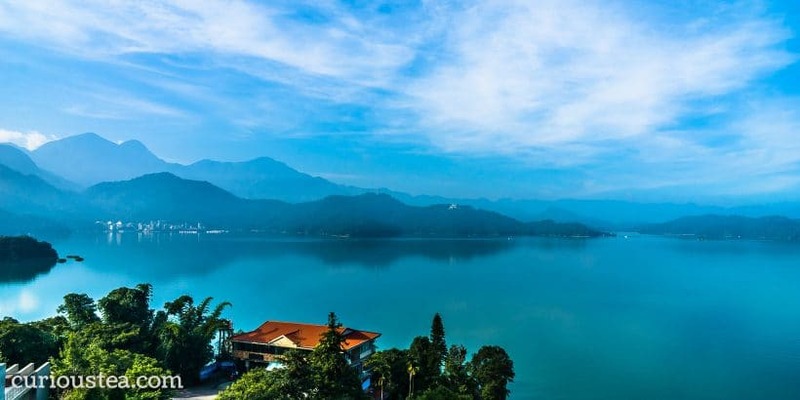 Our Red Jade black tea comes from Yuchi Township on the shores of the picturesque Sun Moon Lake in Nantou County of Taiwan. It was plucked in April 2017. Hong Yu TRES No. 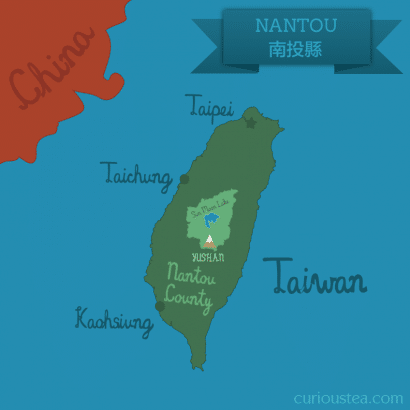 18 cultivar was developed in Taiwan very recently in an attempt to reinvigorate black tea production of the country. This cultivar was developed from an Assamica strain from Burma and the local wild tea from Taiwan. The Taiwanese Wild Shan Cha is available to buy in our online shop, where you can also read more about that unique strain of Camellia native to Taiwan. Wild Shan Cha compares interestingly to the new Red Jade cultivar. They both exhibit similar qualities, however the teas made with the new Red Jade cultivar have a unique eucalyptus and minty edge to them. But if you try them side by side you can definitely see the ancestral relationship between these two strains. 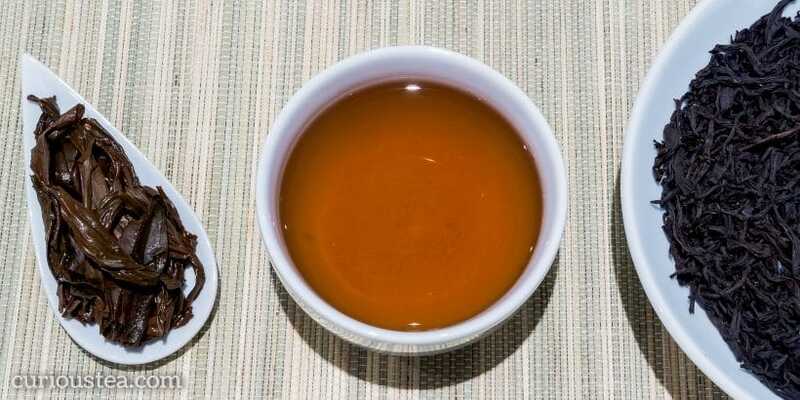 Yuchi Red Jade black tea has large twisted leaves that produce a dark amber red liquor. It has a savoury profile that is verging on having a medicinal kind of taste. This is attributed to the spicy, peppery and menthol flavours that this type of tea is famous for. There is hardly any astringency in this tea, only a slight dryness on the aftertaste. There are very pleasant jammy fruity notes and hints of mint and eucalyptus. Yuchi Red Jade is a very complex tea and the clean yet thick liquor combined with these unique flavours make this a truly captivating tea! 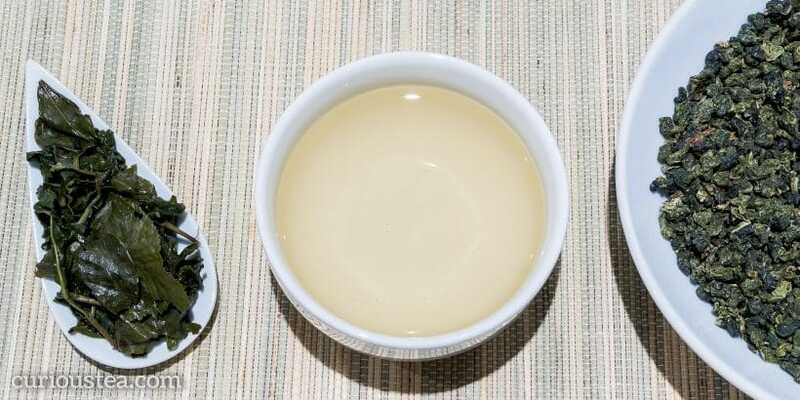 This tea is best brewed with water at 90°C for 3-4 minutes and should be brewed multiple times. You can also buy Yuchi Red Jade black tea in our online shop. We really hope that you enjoy the tea club selection for September and are looking forward to our picks for October!